Many people from their mid 20’s to much later in life have been asking themselves this question every year. The answer completely depends on the person, but if you are leaning towards a yes but unsure as to whether you can swing it financially or time-wise, the nature of education has undergone such a revolution that the answer is most likely a yes. Check this out. 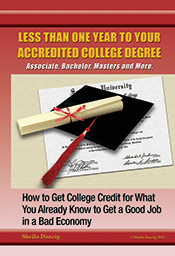 In recent years, online degree programs have gained validation in many career fields. There are many community colleges and universities that offer night classes and flexible schedules for non-traditional students. Many programs will even accept work experience in the field as proof that you can test out of classes and accelerate your pathway towards a degree. Not completing a degree because life gets in the way is common in the United States, and schools have slowly begun to accommodate the growing number of American adults in this situation. When it comes to online degrees, notable online universities and colleges, and physical universities and colleges with online degree opportunities offer degrees in everything from teaching to criminal justice to psychology to business administration. Online courses allow you to be flexible with your class schedule, go at your own pace, and make room for work, kids, and health concerns that may arise and impair your ability to get to class. Online degree programs offer allow you to go to attend non-local schools, which open up more options to you and don’t force you to uproot your life to go back to school. Community colleges, career colleges, as well as liberal arts colleges and universities are offering more and more night classes for students. Flexible schedules and more support for returning and non-traditional students are becoming more and more commonplace in these institutions. If you decide to go this route, be sure to make the best use of campus advising resources. Going back to school can be tough for non-traditional students, and because of this schools encourage these students to make and extra effort to talk to their teachers and advisors about the realities of their lives, and their academic and career goals throughout their program. An easy way to save time and money when returning to college is to see if you can get credit for your previous college credits and for your work experience. Talk to admissions about the college credits you have already earned and see if any of them transfer over and can count towards your degree. Another option is to see if they will accept work experience as college credit towards your degree. Depending on the school, you could actually earn up to 30 credit hours. To learn more about having your work experience converted into credit towards your degree, visit us online at thecareerpeople.com for a free consultation.